TeamIndus, India’s entry for the Google Lunar XPrize, has selected two youth teams to develop payloads for its lunar rover currently being developed. The youth teams chosen are the winning entry Team Space4Life, based in Naples, and the runner-up, Team ZΩI, based in India. 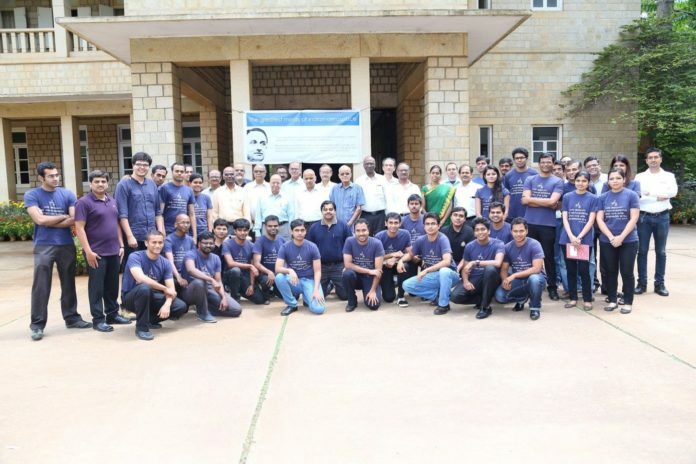 The two teams are the first and second-place winners in TeamIndus’ Lab2Moon challenge, which invited youth teams to pitch experiment ideas, to be flown to the Moon in the TeamIndus craft. The competition saw over 3000 entries from international teams. The first phase required teams to submit their concepts, followed by a second phase in which 25 shortlisted teams submitted prototyes of their experiments. Judges comprise an international jury including Dr. K Kasturirangan, former chairman of Indian Space Research Organisation, Dr. Alain Bensoussan, Former President of Centre National D’Etudes Spatiales (CNES) and Former Chairman of Council, European Space Agency and Dr. Priyamvada Natarajan, Professor in the Departments of Astronomy and Physics at Yale University. Taking the first place was Team Space4Life, which proposed an experiment to test the effectiveness of using a colony of Cyanobacteria as a shield against harmful radiation in space. Team ZΩI followed closely, with their experiment to explore photosynthesis on the Moon. Originally, TeamIndus intended to award only the winning entry a place in the spacecraft; the high quality of the experiments submitted prompted the judges to send 2 experiments to the moon instead of one. Encouraged by the success of the competition, TeamIndus is contemplating sending another 6 experiments in their rover.